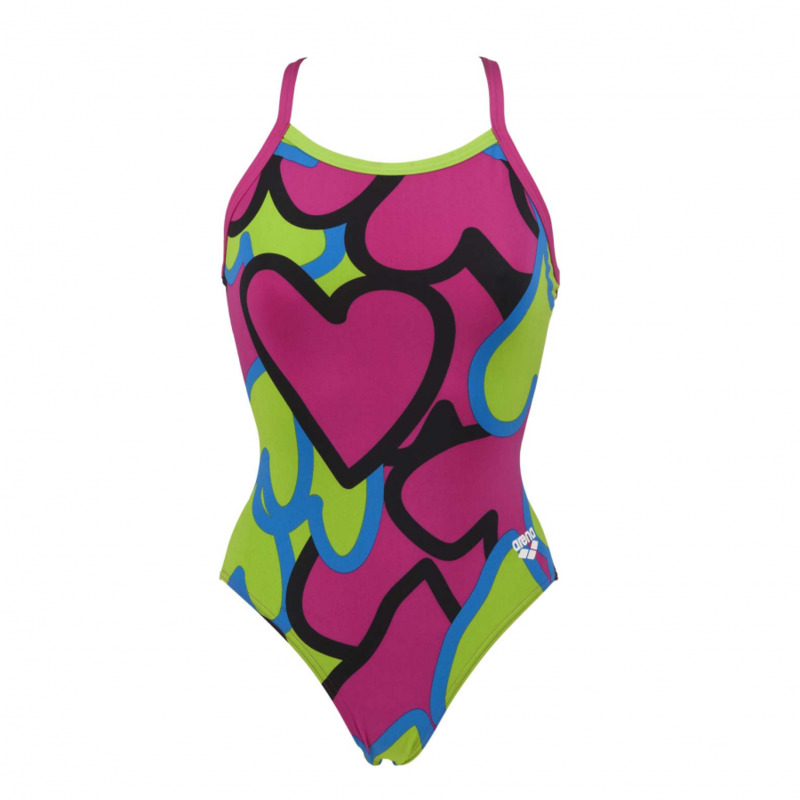 The Arena Tickers ladies swimsut is a patterned purple one piece swim suit. It features a green, black and blue pattern over a purple base. It is manufactured from Max Life material for long lasting comfort and performance. 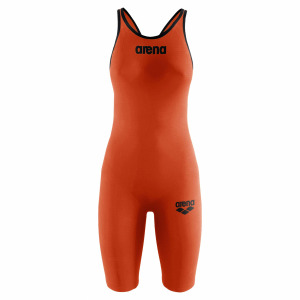 This material’s extraordinary resistance to chlorine enhances the life of the fabric and the 54% polyester 45% PBT resists abrasion and pilling. 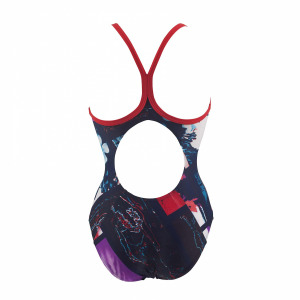 It is also a sunlight resistant fabric which makes this costume ideal for sunny climates.